The University of Missouri women’s volleyball team was back in action Monday night, taking on in-state opponent, the UMKC Roos. The Roos were riding an 11 game winning streak, one of the longest in the nation. Mizzou was unable to snap the streak, falling to the Roos in four sets (19-25, 15-25, 25-23, 18-25). Carly Kan led the Tigers with her 13th double-double, most in the SEC. The Tigers found themselves down in the first set, as the Roos jumped out to an 8-3 lead early on. Mizzou would go on a run of their own, trimming the UMKC lead down to as close as two on multiple occasions. In the end, the Roos would end up scoring six of the final seven points to win the first set 25-19. As the second set opened, the Roos once again jumped out to an early lead, this time going up 7-2. The Roos kept a cushion the entire set, and went on to win the second frame 25-15. For Mizzou, the only bright spot during the second set was senior Whitney Little tying the school block record and recording her 117th career block. Following the intermission, the Tigers committed multiple errors and found themselves down once again, this time, 7-5. 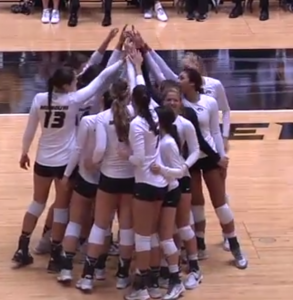 Mizzou rallied, as Regan Peltier recorded a kill to make it 11 apiece. 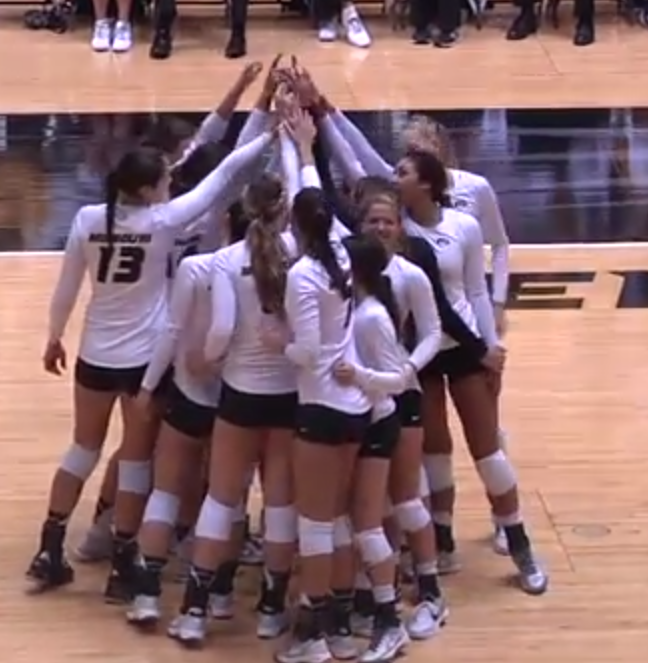 Mizzou would then overcome a three-point deficit, and go on a 5-2 run to make the third set 21-21. The Tigers then got a huge kill from Emily Thater, before sophomore Loxley Keala would notch the set winning kill, giving Mizzou a 25-23 win in the third set. Heading into the fourth set, UMKC once again jumped out on the Tigers, as Mizzou committed five straight errors. Even after Tiger Head Coach Wayne Kreklow called a timeout, Mizzou struggled to close the game. Little would tie the game at 16-all with her 118th career block, a new school record. The Roos went on a game clinching streak, however, as their 9-2 run gave them a 25-18 win in the final set. It was UMKC’s first win over Missouri since 1994. The loss drops Mizzou to a record of 12-8. The Tigers now look to conference play for the rest of the year, beginning with a tilt with the LSU Tigers on Friday night. The game is set to begin at 6:00 p.m. at the Hernes Center and will be televised on the SEC Network.